Human Resource Machine takes that one step further, by imagining an office building that functions like an actual computer. You're an office worker who has just started working in this tower of commerce, and in order to do your job, you'll have to learn how to program it. If that sounds intimidating, it's not. Every day, your tiny, adorable employee will be asked to move various objects from an inbox to an outbox using simple commands. Over time the tasks grow more complicated—maybe you'll be asked to only move some of the boxes, or to combine them in certain ways, and you'll have to figure out how to accomplish that with the limited tools at your disposal. To make things easier, you'll be given spaces on the floor where you can store boxes (aka memory) and more commands that will allow you to manipulate the boxes in different way. Yes, it gets a little brain-melting towards the end, but take it from someone who is totally clueless about programming: actually watching your little office drone walk back and forth through every step makes it much easier to understand, even when you haven't quite figured out the solution. Human Resource Machine is the latest game from the Tomorrow Corporation, and has the same visual look (and bug-eyed protagonists) as its last release, the anti-corporate pyromania simulator Little Inferno. The same looming dystopian air permeates both, as the programming levels are occasionally interrupted by interludes that hint at a darker world outside your building, like ominous news reports about robots massing outside the city for reasons unknown. I haven't finished the game yet so I don't know exactly what it all means, but as soon as I can wrap my brain around these last three levels, I'm sure I'll find out. This certainly isn't the first game to try and teach programming principles, or the first one to point out that programming is a lot like puzzle-solving—Hack 'n' Slash, Spacechem and Code Spells come to mind. But there's something about Human Resource Machine's charming art, carefully constrained challenges and clear visualizations of complex ideas that makes it feel accessible and comprehensible to someone who might otherwise be scared off. Again, I know almost nothing about programming, but by the time I reached the more advanced levels and started constructing scripts full of conditional commands and rollercoaster loops of logic, I remember looking up at what my hands had wrought and feeling like a goddamn genius. From the perspective of a programmer I'm sure it was very simplistic, but I don't really care, because it made me feel smart and cool. If you want people to want to learn programming, is there anything more motivating than that? 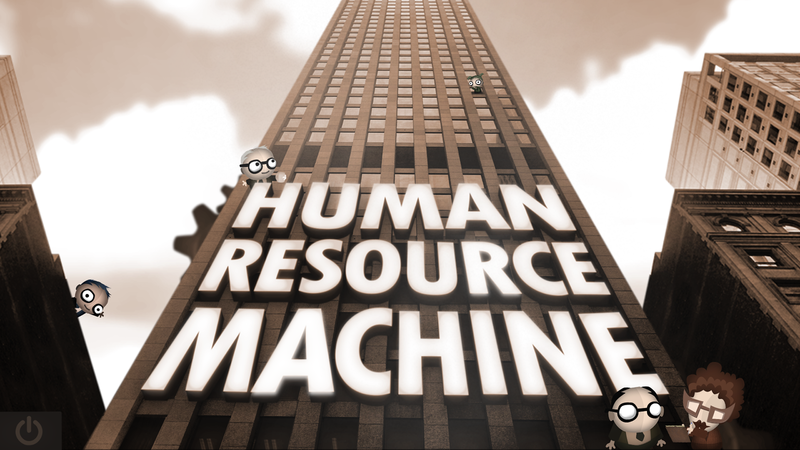 Human Resource Machine is available on Steam for Windows and Mac, with tablet and Wii U versions coming soon.